A little more watermelon avocado salsa, please. Summer calls for lighter meals and this was an excellent example! Most fish falls in the category of lighter fare for me. The corvina (from the Pacific coast of South America) was no exception; meaty, but extremely light in flavor, flaking off in large chunks. It looks and tastes like a cross between mahi and red snapper. The watermelon avocado salsa was a last minute addition (luckily remembering the watermelon and avocado were sitting on the counter). Our meal was postponed for a half hour to let it chill, but it was worth the wait! A serving for 2 included half an avocado (chunked), the juice of 2 limes, 2 diced slices of watermelon (mini seedless variety), some very thinly sliced white onion, mint and cilantro, salt and pepper to taste, and a touch of extra virgin olive oil. 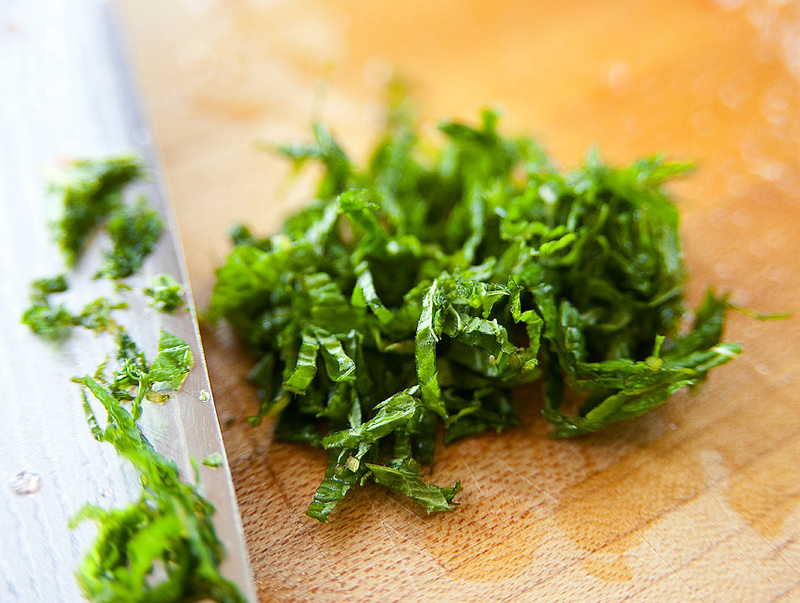 Serve on top of the fish, in many heaping spoonfuls, for a nice contrast to the silkiness of the corvina. Pink wine! I have to say (due to previous experience some years ago), I had a preconceived notion that pink wine is sweet and not very good. However, I’ve been hearing excellent things about rosés (especially from the Finger Lakes), and wanted to give one a try. 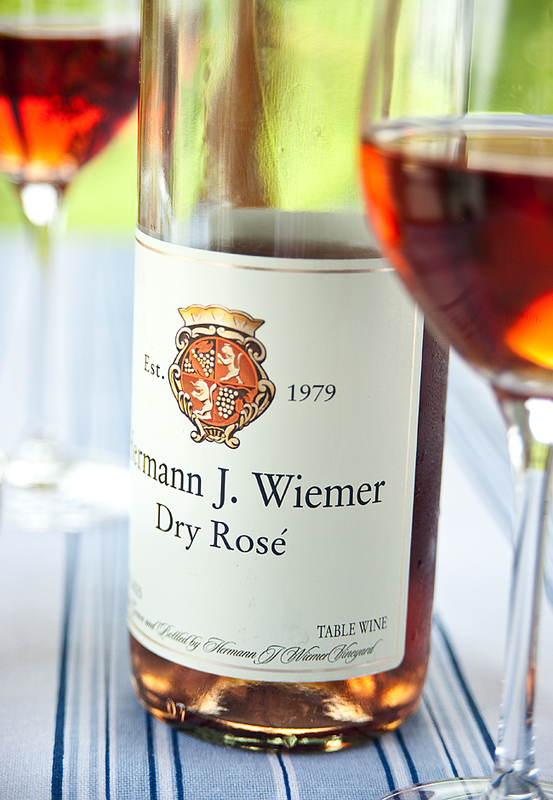 The Hermann J. Wiemer Dry Rosé is actually quite full bodied, and dry, as per the name. It had very slight hints of floral notes, as well as apricot and raspberry. The acidity paired well with the fish and the lime in the salsa. I love finding a Finger Lakes wine I will purchase again! As it hit 100˚F in Rochester yesterday…….happy hot summer to everyone! Hope you get a chance to enjoy this meal soon! 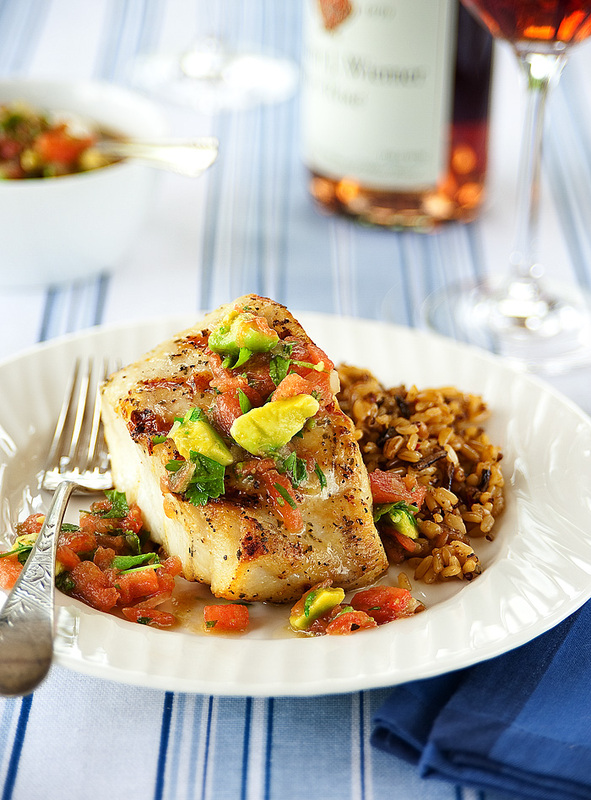 Corvina topped with watermelon avocado salsa! Hermann J. Wiemer Dry Rosé. Pink wine is good! 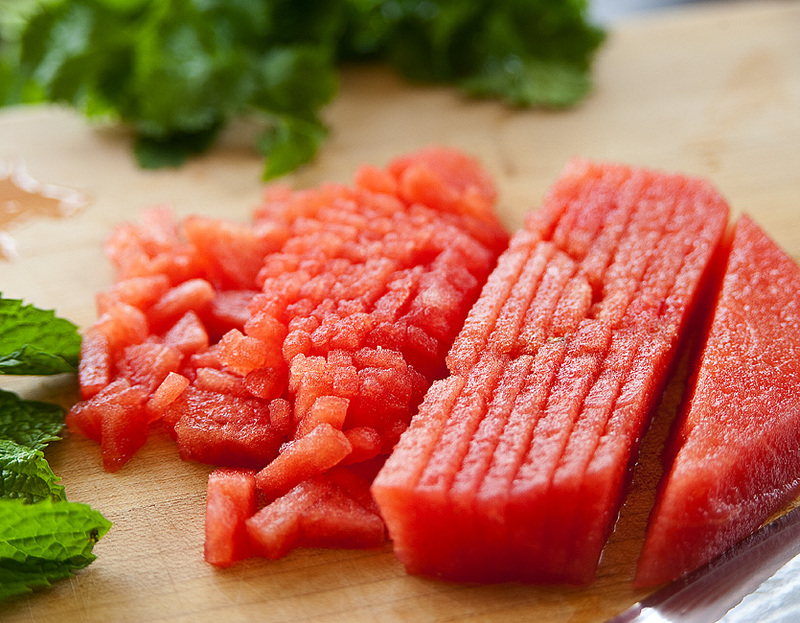 Mid-summer watermelon is wonderfully refreshing. Fresh basil from the garden! Sliced super fine. 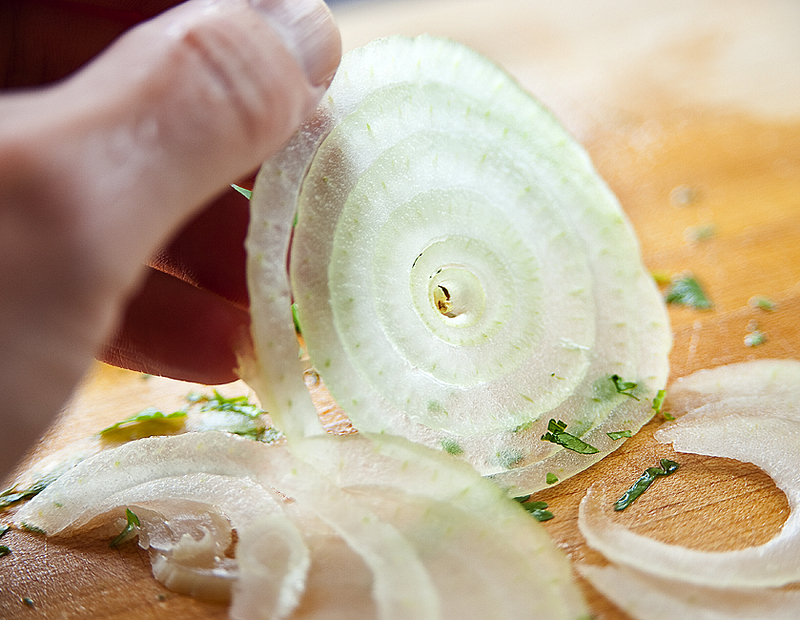 Just a few paper thin slices of onion. 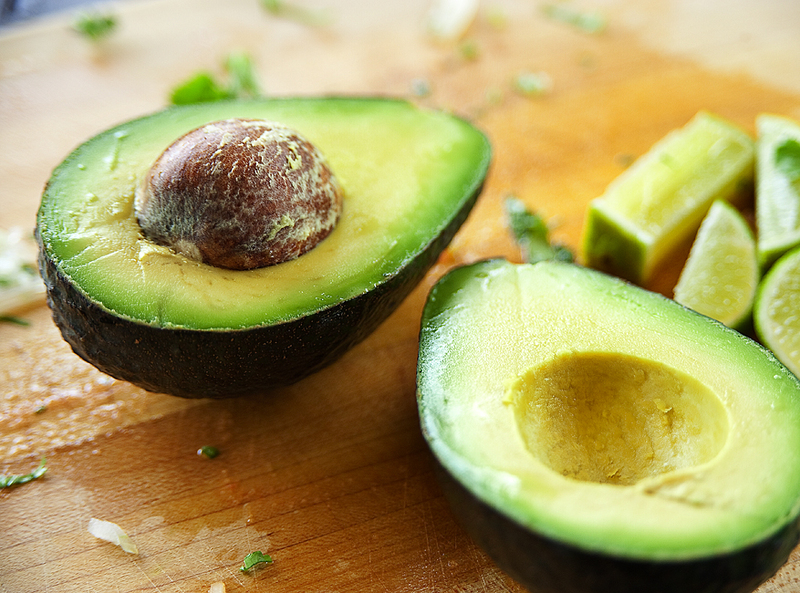 An avocado just looks like summer. Can a stack of pancakes be too tall? 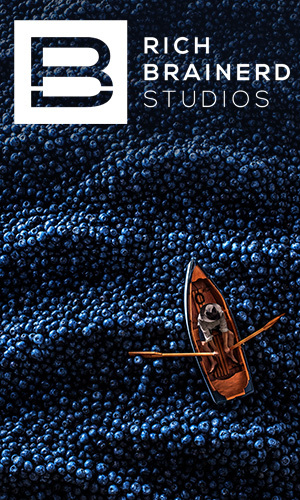 That was the question I asked myeslf…right before I made this stack. I came up with the answer…..only because it makes them hard to cut! I really didn’t eat all those by myself, but rest assured that in this house extra pancakes don’t go to waste. 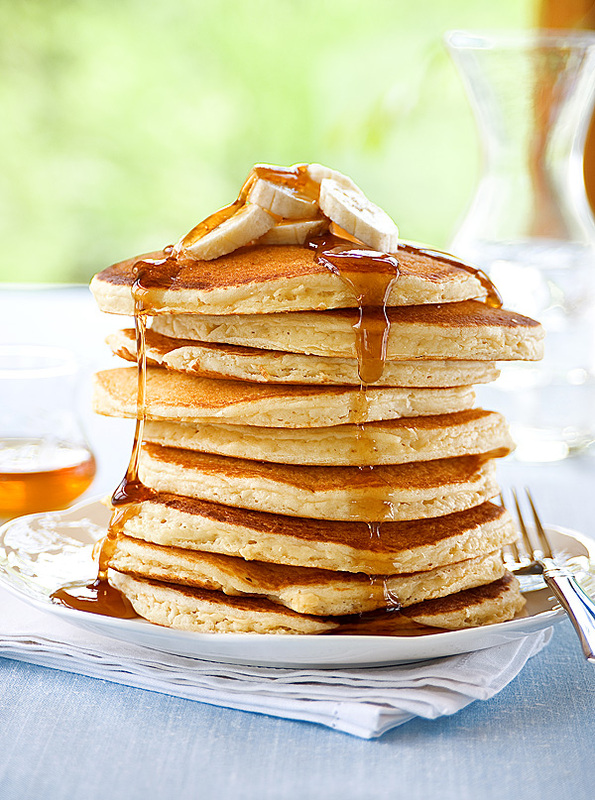 Here’s hoping you get some pancakes for yourself this week! 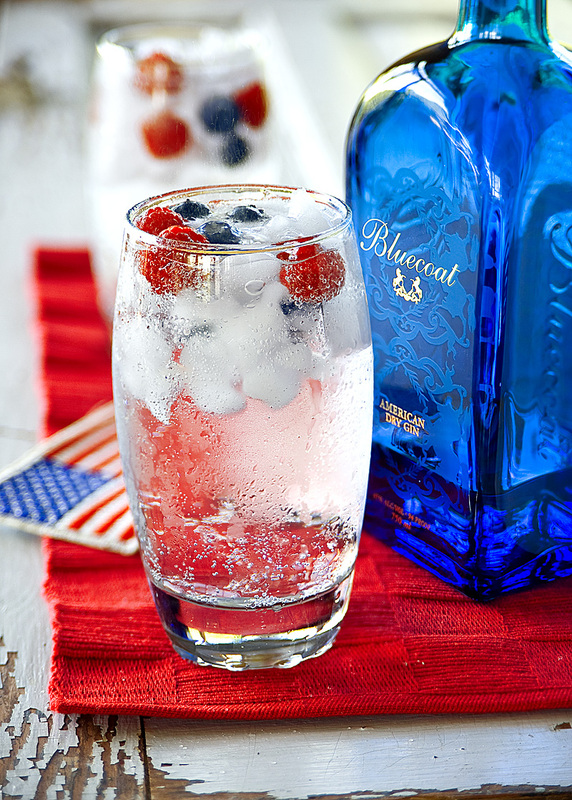 Red, white and blue “freedom” toast. I can’t give credit to the French for our 4th of July breakfast! Maybe for the Statue of Liberty, but I’m sticking to freedom toast for now. We just happened to have a few slices of rosemary olive oil bread left over and we couldn’t let it go to waste. This is one of our favorite breads when fresh, and it’s a favorite when soaked in egg whites and cooked up as well! My suggestion for freedom or French toast: skip the egg yolks. I also skip the butter to fry it and use a cooking spray, all in an effort to eat as healthy as possible. There is still tons of flavor! We topped with fruit and powdered sugar for the red, white and blue effect. Hope you all had a great holiday weekend! 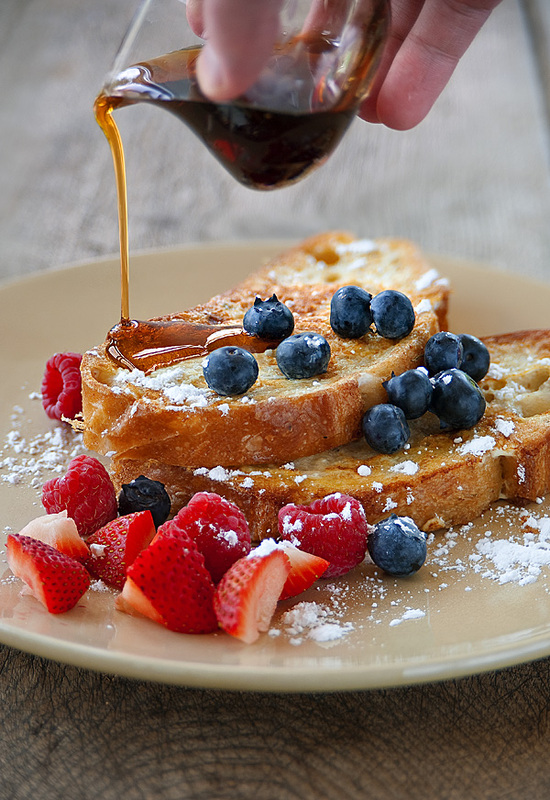 Rosemary olive oil, red, white & blue freedom toast.